Farm or Animal Unit Supplement! 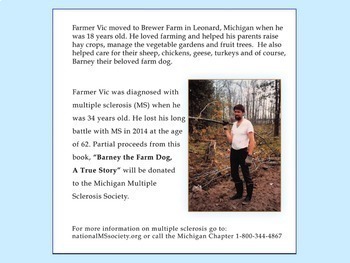 Meet Barney in the e book, Barney the Farm Dog (book is in pdf format). 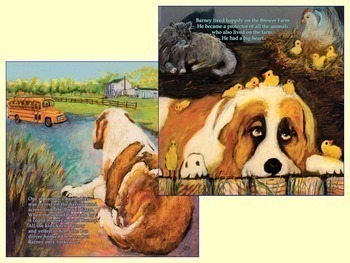 It's the True adventures of Barney, a lovable St. Bernard! 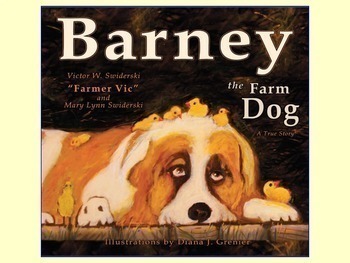 This book is a great resource on its own or when your class is doing a unit on animals or farm animals. The book comes with a coloring page, a writing response page, word search, and a question/answer page. 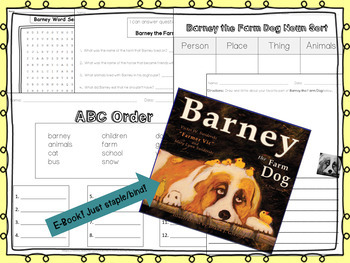 Print the book and bind/staple it or read it on your document camera/smart board. Use the follow up activities to lead a class discussion, for a literature response, and to check comprehension levels. Students can use the activities in pairs or individually. You can model the Q & A activity whole group on the doc cam. Sure to be a class hit!! ***This product is included in my Sub Plans Pack for a discounted price here: Substitute Teacher Plans! Please visit my store for more lesson plans and ideas. Thank You! Spelling for the Whole Year!